Bootstrap Business: How Do Fleet Cards Give You Great Control And Savings? How Do Fleet Cards Give You Great Control And Savings? Innumerable benefits of fleet cards make one of the most important additions to a business which is needed right when the business is gradually expanding and adding more vehicles to its assets. Small businesses face a lot of friction while expanding and going bigger. 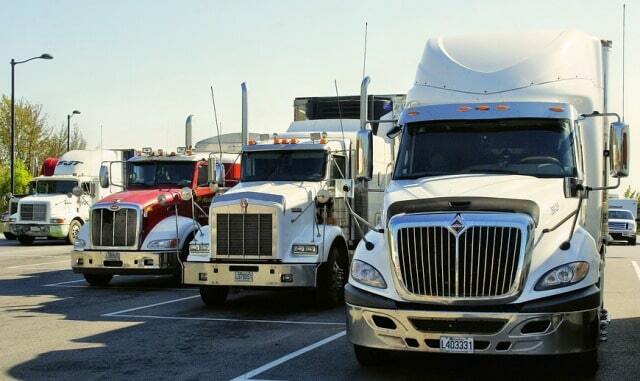 One of the frictions is the problem with fleet management. There can be lots of problems in fleet management. But the direct monetary loss is a shock and leaches the business from the underground, thereby exhausting its resources on car maintenance and fueling costs, which are made to look high and proliferated. Drivers often take the chance of technologically inefficient fleet management which lacks the controlling and monitoring systems, and therefore inject their expenses into the invoice and bills, thereby making the fleet expenses high. If you are running a small business, and are going through this phase, and if you are unable to understand that after everything is set right why your car is eating so much of fuel or going for so many repairs, then you must get fleet gas cards. This is the only best way to get you total control on the whole process, so that you never again have to listen to drivers or other petty excuses, and you can get all data from daily and instantly updated MIS. How Do Fleet Cards Work? The preloaded fleet cards are used as a debit or credit card. They need to be shown in the gas stations or car repairing shops while paying bills. On swiping the card, the bill will get paid at the company expense, while the entire details of the invoice, along with amount of fuel purchase, kind of repairs or work done at the garage, date and time, exact location and dealer name, and all such details will get instantly updated against that fleet card account. And the data will then be instantly accessible online from that account and can be fed to the business MIS. This way, nobody gets a chance to use company funds for other expenses, and you get total control and details of vehicles and their maintenance expenses. With every fleet card account, you get a robust system to see the movement of your vehicles, where they are going, their routes and all, and their purchases are made on the card, etc. You get to know all these details in real time. This gives you better control over stopping nuisances. When you refill fuel using the fleet card, you get rewarded for every transaction. You get offers like volume discounts, offers from certain gas stations, offers on special days, and many other discounts, etc., which help you save money on fuel than you ever did. This is a great advantage of fleet cards and makes the program even more attractive and rewarding. While you gain total control on fleet management of your business vehicles, without separately investing in new technology, but just by getting gas fleet cards, you also save more on refueling. And this is nice, enjoyable, and brings you peace of mind. I hope you enjoyed this blog post about how fleet cards give your company vehicle management team plenty of control and savings. Interested in more articles about transportation and fleet management?